There is a fundamental contradiction between economics and ecology. Activities that increase well-being by economic criteria often erode ecosystem vitality, and what preserves and enhances environmental well-being is often deemed 'inefficient' to economic demands. Regrettably, in our culture, we usually accord much greater importance to economic concerns than to ecology. However, given many indicators of continued environmental degradation - escalating rates of species extinctions, global warming, the profusion of toxins in our air, water, and soil - it is increasingly urgent that economics be infused with ecological principles. 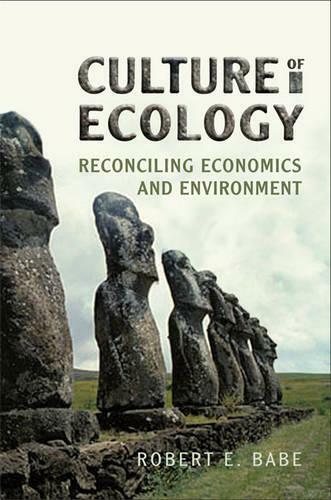 In Culture of Ecology, Robert Babe proposes a move towards more ecologically-sound waysof thinking, communicating, and acting, including those usually termed 'economic.' His vision for a sustainable future entails recognizing and compensating for the inherent bias of all modes of communicating, reducing the centrality of money as a medium of communication, re-establishing systems of valuation outside the bounds of commodity exchange, and heightening equality to ease flows of information more in keeping with ecological realities. Culture of Ecology marks the beginning in a struggle to prove that, given the right approach, economy and ecosystem need not be mutually exclusive.